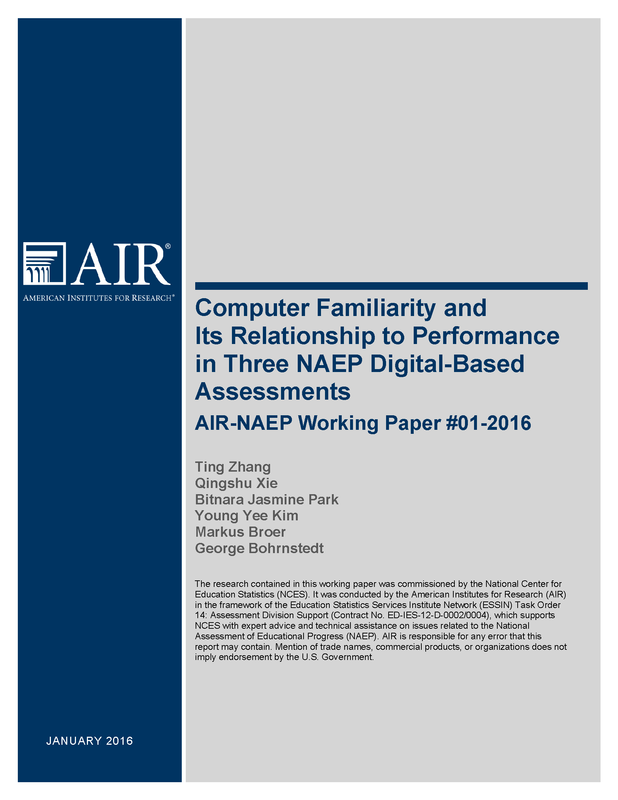 The NAEP Data in Focus working papers combine AIR’s expertise and experience not only with the National Assessment of Educational Progress (NAEP), but with other large-scale assessments and survey-based longitudinal studies. The papers are made available to researchers and the public. NAEP is the largest nationally representative and continuing assessment of what America's students know and can do in various subject areas. 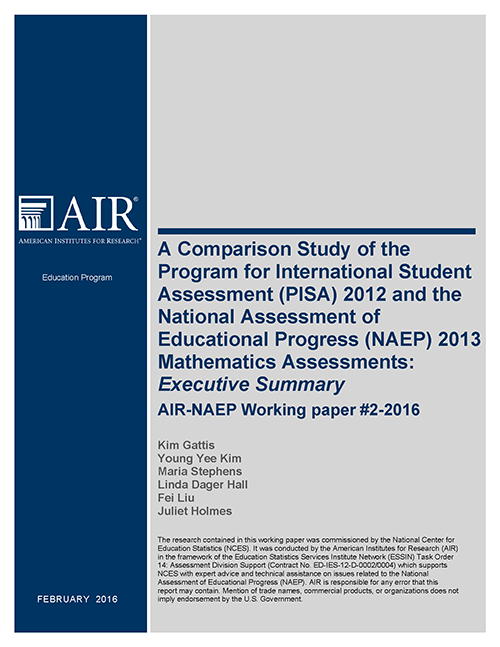 Data from NAEP—the “Nation’s Report Card”—can provide insights into a wide range of topics, such as understanding the relationship between students' familiarity with computers and their performance, how NAEP mathematics assessments compare with international assessments, and comparisons of NAEP variables to those used in longitudinal studies. 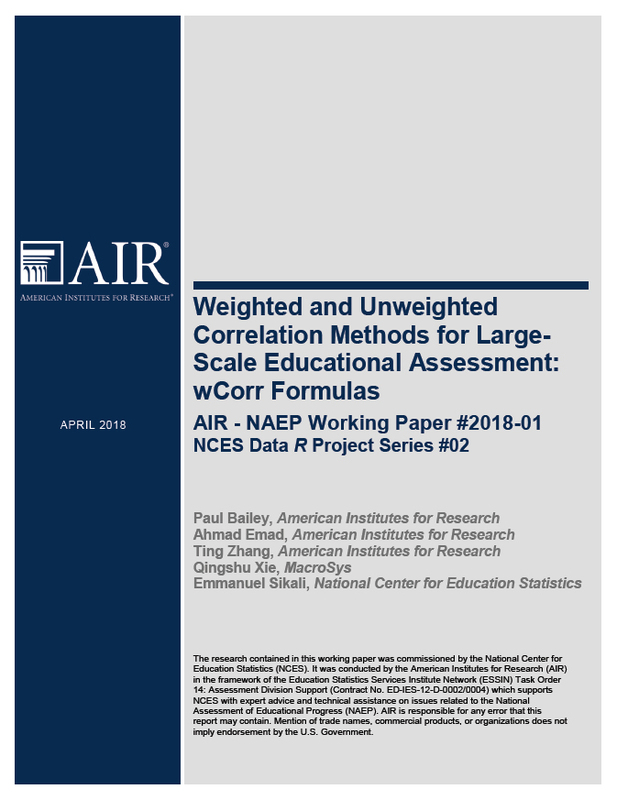 AIR-NAEP researchers are experts in educational research, psychometrics, and statistics, and have been commissioned by the National Center for Education Statistics, which oversees all NAEP work, to provide expert advice and technical assistance on specific issues related to NAEP. 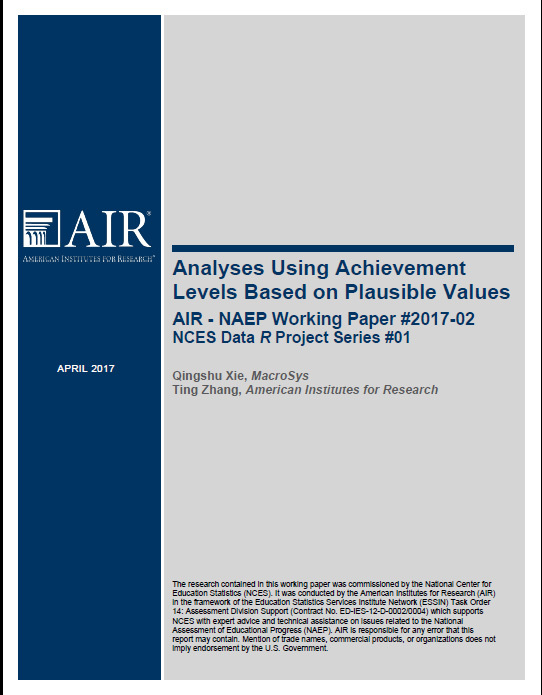 This resource will be updated regularly with the latest AIR papers and work examining NAEP data. This study used an overlap sample of students who participated in both NAEP and the 2009 High School Longitudinal Study (HSLS) to examine the relationship between socioeconomic status (SES) based on parent reports and student reports of SES proxy variables. Blog: Why Did NAEP Scores Drop?